2018 is working out great for me, and I hope 2018 is going well for all of you as well. I had goal to possibly release an other martial arts short film in this year of march and it surprisingly it happened. I met up with some guys and they were interested in being apart of this production. I want give a huge thanks to Rick Uquhart and Fernando Lopez for making this happen. Check out the film and tell me what you guys think. Remember to train hard and be like water. I was seeing my favorite MMA fighter Carlos Condit today, he lost a fight against a very skilled grappler called demian maia. A lot of people where very impressed by the submission and grappling maneuvers. But many people seem to be unaware of the following aspect, Caros said at the press conference later, that he got hit with a very solid strike during the fight, and that he got rocked and was afraid of getting punched again, which is why he turned and gave his back to his opponent allowing him to finish the fight. And that he doesn't feel he can take shots like that anymore. Before this fight he had a another fight that was crazy, all kinds of strikes landed and he also received a lot of punishment, and throughout his career he's been on some wars receiving obviously a lot o damage that accumulates to his brain over a decade of pro fighting. But many people seem to be unaware that the more punishment someone receives to the brain, it becomes more susceptible to damage, which means it becomes easier to get KO'd and rocked by strikes. Carlos has been always a tough guy but it seems like he's starting to notice and feel the drawbacks of a tough career. And that he needs to analyze things and talk to the family, to see if he shall continue fighting, Honestly after hearing what he said I think he shouldn't. He seems worried about his health. Most people just say don't retire, get the fire back, but there's only so much damage one can take, specially to the brain. It is worrying to see that all this big fighting companies or whatever don't seems to take this things in account. and would allow someone to keep fighting as long as they can without worrying about the problems that that can cause in the future. I'd like to share with you a recent experience that occurred in my Taekwondo dojang. I was carrying out my role as assistant instructor for the junior class, as I have been since 2012. I always take to this role with great enthusiasm as it brings great joy to me seeing the young students lives improve. Being an assistant instructor, I do not have complete control over how the students are taught and how the school operates. This does not bother me as much as it used too. I do not own this business but I am grateful to have the influence I do, which at the moment seems to be increasing because my instructor will have had 3 significant operations during 2016. Yet, he is trying to manage the school in the best way he can under his current circumstances. If he can make it to class, his instruction is delivered almost exclusively via verbal means. I feel sympathetic towards him and I'm also inspired by his soldiering on mentality. In 2015, a BJJ club opened up directly next door from my Taekwondo school. Now, I am well aware that styles are "not the gospel truth", as Bruce Lee would say. Styles are simply guidelines, nothing more. As an aspirant of Martial Art's most purest form, the formless form that is found within, I understand that no system is the complete truth and that by relying solely on system, practitioners will never unlock their full potential. However, as a provider of martial education through the guideline of Taekwondo, I feel I have to know this system technically, politically, historically and esoterically. Furthermore, an inevitable trait that we will display as human beings that practice Martial Art is our preferences regarding the systematic guidelines practiced by communities. BJJ is one of my most disliked expressions of the communal guidelines. My reasons for not liking BJJ are fairly strait forward. I think the self defence is pretty good, providing there is no concrete ground with stones on it to roll around on when self defence is required. The system does well in the joint locking department; however, subduing an assailant whilst sacrificing mobility is seriously unacceptable in street combat. When defending ones self in the streets, on must always be prepared in the moment to react accordingly to unforeseen threats, such as multiple assailants that the defender may not initially be aware of. Basically, one should never voluntarily be off their feet during street combat. The dangers BJJ methods pose to a combatant in real street combat are of a high potentiality. Not only this, but strategically rolling around with other people; the fact that you are within a close proximity to someone for prolonged periods of time is very undignified as you are deprived of personal space. Disliking such physical intrusion is not displaying homophobia, it is simply a basic human right to have personal space, to have fresh air to breathe, to be covered in your own workout sweat, not somebody else's. Being constantly exposed to other people's bodily fluid such as work out sweat is a very unhygienic means of physical practice as you are constantly being exposed to bacteria and/or viruses your training partner may not even know they are carrying. This is statistically indicated in BJJ's high prevalence of ring worm and cauliflower ear. Although you will find people who are under the illusion that they are superior to everyone else wherever you go, communal expressions including Kyokushin Karate, Mauy Thai, MMA and of cause BJJ seen to have general tendencies in which they display superiority complexes. I will not explain why I believe this is at this time, though I will state that it is a very unattractive and off putting trait that tends to indicate spiritual regression too me. This has been my impression of BJJ for many years now. This impression has now been further affirmed by my recent meeting with next doors BJJ school. I did not go to them, rather they came to me, all of them. This brings me to the events that sparked my desire to write this post. It was like any other Thursday nights junior class. My instructor was taking higher ranking students through sparring exercises whilst I was monitoring yellow belts as they were wrestling on their knees. Although I'm not a big fan of the wrestling exercises (which is co-curricular in our school) we teach the juniors, they seem to enjoy it. I suspect this is what caught the attention of the BJJ people. One moment I'm instructing the kids in their wrestling activity, then I turn my head and to my disbelief, the entire BJJ school had moved into our dojang without any announcement. About half of our training space was now taken up by loud, thick, colourful uniforms. 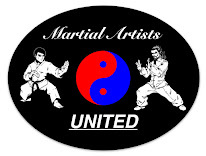 They wore a plethora of badges and advertising on their white, blue and black Gi's with white belts, they had it all. They have obviously come a long way from plane white uniforms to symbolise purity of spirit and intent. Their instructor is from Brazil and has won many high level Brazilian Ju Jitsu tournaments. He approached my instructor and said "I can see you are doing ground work. You should not be doing Brazilian Ju Jitsu because we do it across the hall. Why don't you teach my students Brazilian Ju Jitsu and I teach your students Taekwondo? Or how about we show you how effective Brazilian Ju Jitsu is; your students [most were under 10] vs my students." After all that, he said "How about we teach you some Brazilian Ju Jitsu and you teach us some Taekwondo and we can become friends!". My instructor explained that the yellow belts were just going through a kiddy drill and that we have our own things to work on. My instructor politely asked them to leave, which took a while. They said that we both practice martial arts and that they want to become friends. I found this hard to believe because his students standing close to him were smirking and the ones standing further away were either rolling their eyes or just looked disinterested. The instructor didn't sound genuine to me, almost sarcastic. I looked around at the parents of the juniors and they were not happy. Some of them were even red in the face. It took a lot of talking from my instructor to get the BJJ people to leave, which eventually they did. After class, one of our students, a blue belt, came to me and asked: "Ben, seriously, what was that all about?". This student is clever, but sometimes to clever for his own good. To answer him accurately would mean I would need to touch on the socio-cultural and political aspects of martial art communal expressions, which I couldn't do in a timely manner that he would understand at that time. I told him to just leave it and move on. I also spoke with one of the kids parents who I work with. He told me he thought it was absolutely disgraceful that the BJJ people intruded to make a showy appearance during the children's class. Afterwards, at least 3 parents filed in complaints about the BJJ school to the head office in the sports centre. Some who read this may think that I'm being a bit hard/ridged, ultra traditional and closed minded against these BJJ people. The facts however remain that they interrupted the learning time of our students and barged into our dojang without even knocking. If they were respectful then they would have respected the fact that a children's class was operating and made their proposal to my instructor before or after class as to not interrupt the flow of learning, or even over the phone. It would have taken only one person to make the proposal, not the entire school. I'm not against the cross pollination of martial knowledge between schools. Currently, I am formally studying 3 different systems at 3 very different schools. It's the way in which these BJJ people carried out their questionable proposition that was very dishonourable and disrespectful. I would say the same if it were any other communal expression. I haven't written about BJJ before because the system just doesn't interest me for reasons explained above. In a way though, I'm glad it happened, regardless of wether the experience was positive or negative. Before this, I hadn't met BJJ practitioners in person so all I had to go off was what I had seen on the internet when forming an opinion on the communal expression. Through this real life experience, my opinion of what BJJ practitioners can typically be like has been confirmed; they were extremely outgoing with a real underlying superiority complex. Although I'm sure there are humble BJJ practitioners in this world. It certainly added a bit of excitement to life. What are your thoughts of this recent experience of mine? Something I putted together during my semester break. I don't constantly or intently train just to perform the human flag. I just do strength training in general, working every parts of my body. Well I try to. 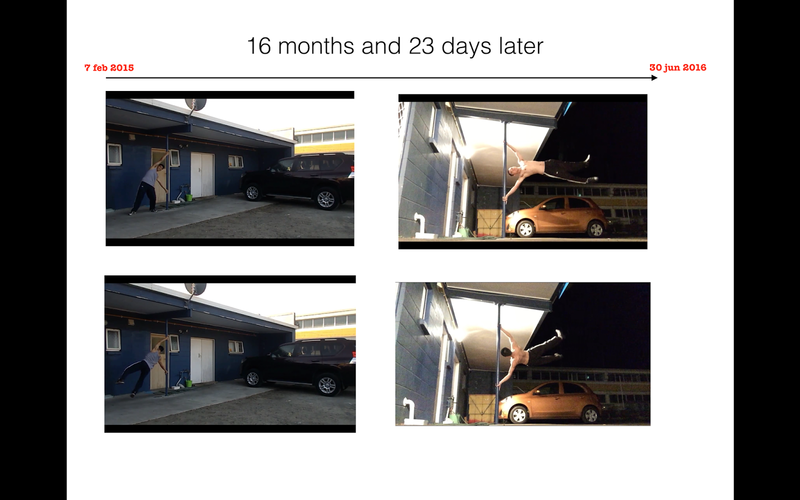 Don't focus too much on particular things that you want to achieve, like for example mastering the human flag. What I am saying is don't put all your time in doing things, like human flag drills, or drills that will help you achieve a certain ability, other examples maybe something like doing the 540 kick or handstand? Just work on general and fundamental exercise or workout plan and the other things will come later. That's what happened to me here. I do my general fitness exercise and I was able to do something like the human flag by random attempts. So this is a side effect. What you want is good side effects. 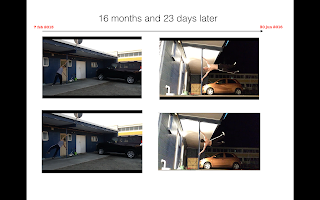 For example say you do something like a spinning reverse hook kick drill and jumping 360 degrees, over and over again, eventually you will develop good jumping spinning reverse hook kick. Maybe one day you see 540 reverse jumping spinning hook kick on video and decide to try this yourself, and find out that you were able to perform it without intently practicing the 540 jumping spinning never hook kick. That right there is a side effect from doing fundamental drills. And as for the human flag I didn't really do things that will help mastering the human flag, like side planks. Side planks are crucial for doing this. Like I stated before I just do overall full body workout. I do strength and cardio (High intensity interval training, HIIT) mostly, followed with stretching. I almost don't even have time or I forget to practice martial arts. If I had to choose between martial arts or just general strength training and cardio fitness, I would choose the strength training and cardio fitness. Like one of my old inspiration, Freddie Lee, said was if you just do basic fitness exercise like, push ups, sit ups, squats etc, then you may develop the natural ability to fight or learn combative techniques. Well if you do a lot of fitness you should be naturally stronger, than the person who don't train and is threatening you, and be able to defend yourself against them. But it's better to just run or evade if possible. Having good fitness in general will allow you to have sufficient stamina to run away and be safe, or allow you to run or sprinter faster. Everyone can fight. Fighting is innate. Learning proper fighting form is easy. But what is not easy to attain is good fitness. It takes hard work for that. But if you combine good fitness and good combative techniques then you will become a badass weapon. But fitness alone is still great. If I was to choose between a fat unfit person you has good form in combative, or someone who looks fit and is fit and health with bad form when it comes to combat, then I would certainly choose the second option. Just because I would have bad form (by picking the second option) don't mean I won't be able to defend myself. Benefits of fitness in general are improve: strength, endurance, flexibility (if you stretch), balance (or posture, health and well being, reflexes, memory, immune system and lots more if you google it. Side effects of doing basic fitness (well if you push yourself 100% and go hard) is that you may potentially mutate your genes and develop an advantageous adaptation. This idea is epigenetics, which is modification of your genes (or genomes), caused by environmental factors, like exercising. Good mutation may be high production of haemoglobin, giving you the ability to carry more oxygen throughout your body giving you super endurance, or maybe something like super strength which may be due to abnormal increased amount of muscle fibres and motor units from a new gene or activated inactive gene; or maybe affect a gene that limits the production of myostatin -which is a protein that suppress muscle growth therefore muscular strength. The point is that if you develop good fitness not only you will get the benefits associated with it, but also get a greatly surprising side effects. I used another example. 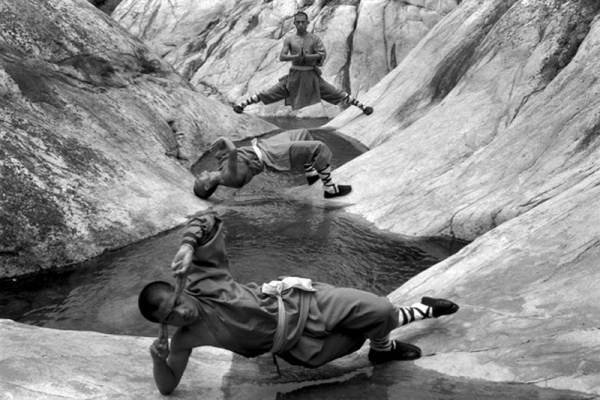 Shaolin monks practiced kung fu for health and well being (and they still do). 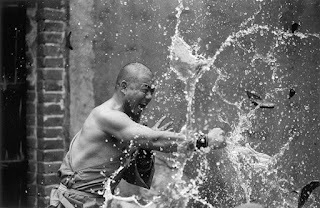 When the government invaded the shaolin temple, the monks realised that the kung fu exercise that they were doing could be used as a weapon to defend themselves and the temple. This is a badass or greatly surprising side effects. Of course it is good to practice particular exercise or drills that is doing to help you achieve a certain goal or ability, over and over again, to master it as soon as possible. That's only if you are really desperate and want it very bad. If not then just do overall or general fitness exercise, to build a good solid foundation. The goal or ability you are trying to attain will come as a side effect. Don't worry. Don't get me wrong but I sometimes do focus on particular drills that is going to help me master the ability I want to attain, like planche and handstand. But I don't focus too much on it. One day those will come.